Our optimised and managed WordPress is 2.5X faster than a normal wordpress hosting in Malaysia. We have developed a managed WordPress web hosting solution using PLESK with a host loads of programs that increase the speed of Wordpress websites and also provide the best protection for your site. 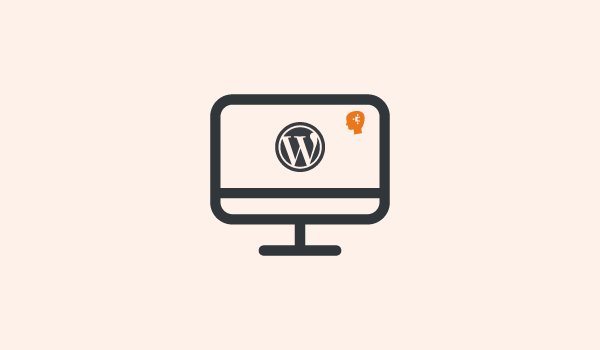 Our Wordpress hosting will transform your website into a super high security website with incredible loading speeds and provide you with an easy to use interface to manage all your plugins and content. Our Wordpress servers come with Litespeed with LSCache Technology producing the fastest page load speed. FREE Domain (.com / .com.my) for yearly purchase, applicable for WP PREMIUM and WP ULTIMATE packages only. Plesk ONYX control panel comes with our WordPress hosting to enable you with the most comprehensive set of technical, security and automation tools on one hosting platform in order to simplify web operations. Shinjiru has chosen Patchman for their ingenious proactive malware detection solution with its automatic malware and vulnerability kill-switch. With Patchman integrated, say goodbye to malware. 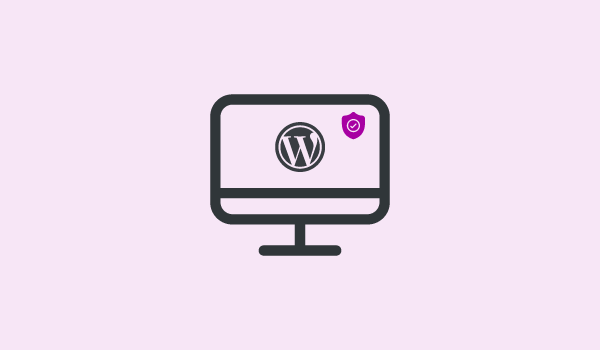 Our WordPress Toolkit makes managing WordPress websites simple with control and management done straight from the control panel without having to access the wp-admin area. Built on our fully optimised platform for Wordpress, using advanced NGINX architect to ensure the fastest website load time. In addition to, our Wordpress hosting was equipped with a super-fast SSD drive for faster response time. Having Wordpress CMS is helping your website search rank by having SEO friendly theme code and easy to use setup for SEO customisation of your website. Just a click to install varieties of applications & hassle free ready template makes it pretty simple! Plesk has easy to use, straight forward and powerful interface that allows webmasters to manage and secure their WordPress websites with few simple clicks. Our WordPress web hosting is a unique solution designed by Shinjiru. Through our many years of experience with WordPress, we knew that users just wanted a simple and easy to use web hosting interface to manage their WordPress websites. With our solution, we integrated one-click install and management tools from a single control panel portal making it easier for users to manage and update their WordPress websites. There are many web hosting companies in the market but not many took on the approach we did. We built the best server with Enterprise Grade SSD with the fastest page load Litespeed Technology. Our solution took a big approach on security and user experience, our security controls on our servers are managed by us – Web Application Firewall and Anti-virus. With a lot of the security managed by our technical team 24 hours a day, our customers would just need to upload their web-files, connect a domain and in a few quick minutes, their website would be online and load extremely fast too. How many emails can I have in your web hosting? Our web hosting packages have unlimited email accounts but bear in mind that the more email accounts you created the more resources you will consume. If your website is more resource intensive or receives more traffic than a general website, please consider our VPS hosting plans. These plans offer greater resources to cater for more traffic. Moving your website is a simple process. If you are an existing Plesk user, we will do it for you - free of charge. Simply contact our sales team and we will organise it for you – no headaches! Looking for a more advanced email service? Happy with our WordPress web hosting but require an advanced email service, try our Dynamail Email Hosting. WordPress has rapidly evolved to manage 75 Million websites globally, WordPress is used by more than 29% of the top 10 million websites and remains the easiest and most popular content management system in the world. 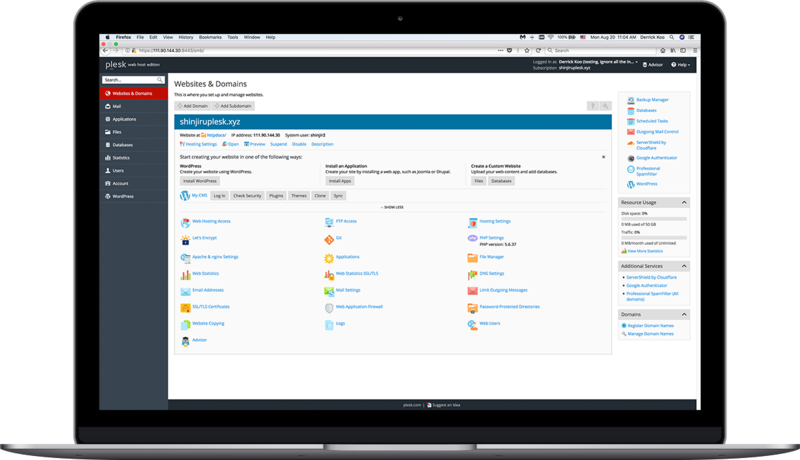 Shinjiru has partnered with Plesk to bring to you WordPress Toolkit 4.0. Toolkit 4.0 makes management of a WordPress website much simpler. Features within Toolkit 4.0 make deployment, cloning, debugging, migrating and updating WordPress websites quick and easy. To see all the features, ask for a trial today!